How priveliged we are to have a Wonderful Heavenly Father who sent His Son Jesus Christ so we could be complete, connected to Him, come to Him for anything any time, and how we can do this throughout eternity. I speak to remind every believer, potential believer, and myself that we can lift up any request or praise to God for anything or anybody by prayer by the understanding or spirit. In this, we know that we are truly being fellow-workers with God in moving mountains. Everything else in life is sugar on this wonderful cake. As you, my brothers and sisters in Christ read this, I ask a request. I am Tony Mosora. 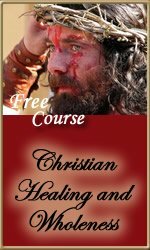 I am a born-again son of God by Jesus Christ's perfect work who ask for your prayers for myself and any Christian in the medical field to grow in passion, knowledge, wisdom, and patience to accurately find and apply God's healing scriptures as we work and minister to people all around the world. We want more widespread healing miracles to be wrought so the name of God and Jesus Christ be glorified. Thank you so much for reading, I pray that you may be blessed in return and that we can rejoice in being fellow workers with God. May we as the Family of God become more unified that we may live that more than abundant life God paid for us to have.